New Caledonia is located in the Oceania region of the Pacific ocean called Melanesia, which also includes Papua New Guinea, The Solomon Islands and Fiji. New Caldeonia, an archipelago halfway between Australia and Fiji, is an extraordinary place. While it has all the features you might expect from tropical islands – white sands, blue lagoons, and graceful palms – New Caledonia is also home to some very unusual plants. Most striking is the abundance of conifers belonging the ancient plant family Araucariaceae, including the trees featured in the header, Cook pines, or Araucaria columnaris, which grow in the coral-derived soils along the coast. Trees in the Araucariaceae family are often called “living fossils” because they so resemble their ancestors the Arauchariads, trees that forested the Earth during the dinosaur age (200 to 65 million years ago). Ancient plant families are more heavily represented on New Caledonia than their more modern counterparts. For instance, the islands are home to a disproportionate number of gymnosperms, a group that includes the conifers mentioned above. Gymnosperms were the dominant seed plants before the advent of flowering plants (angiosperms). But their angiosperms are also fascinating, among them is Amborella trichopoda,which the the sole member of the oldest living flowering plant lineage, Amborelleaceae. The understory of the humid forests of New Caledonia is the only place Amborella trichopoda is found in the wild. The advent of flowers is one of the most pivotal events in our planet’s history. Flowers first appeared around 130 million years ago, making them evolutionary late-comers. But the velocity of their diversification and spread to nearly every ecological niche has puzzled scientists for over 150 years. In fact, Charles Darwin called the sudden appearance and proliferation of flowering plants an “abominable mystery.” To advance our understanding of flowering plant evolution, the Amborella Genome Project has sequenced and mapped the plant’s genome, using material from plants grown by horticulturalists at the Atlanta Botanical Garden. They have had succeeded in growing and propagating Amborella trichopoda from both cuttings and seed, and consequently were able to supply the Amborella Genome Project with plant material for their work. Regarded as a biodiversity hot spot, New Caledonia is home to 3,332 plant species (recorded so far), 2551 of which are endemic (meaning they are native to New Caledonia only). That makes for roughly a 77% rate of endemism. New Caledonia is the third highest ranked island group for endemism, after Hawaii (82%) and New Zealand (82%). The factors contributing to such a rich variety of plant life include the diversity of climate, elevation, and soil found on New Caledonia. The biogeography of the island chain has been shaped by a complex and fascinating geological history, and scientists are still making discoveries about the origins of life on this isolated archipelago. Several plants from New Caledonia are included in the Atlanta Botanical Garden’s collection, many of which are rare and critically endangered. The Garden’s living collection of tropical conifers from New Caledonia is particularly rich. In these webpages you can find profiles of plant species from the collection and learn about their ecosystemic homes. 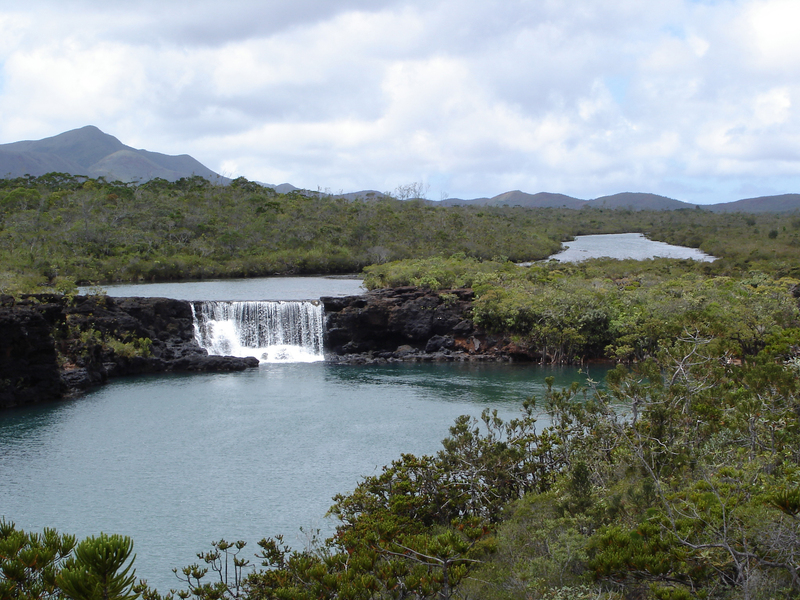 Unfortunately habitat for New Caledonia’s flora is shrinking. Fire, logging, conversion to agriculture, invasive exotic plant and animal species, and the effects of nickel mining have degraded and destroyed much of New Caledonia’s natural habitat. As a result, an estimated 25% of the islands’ native plant species are at risk, and at least five species are now extinct. The Atlanta Botanical Garden‘s living collection of New Caledonian plants thus serves as a kind of insurance policy against the unfortunately likely event that more species will be imperiled and even go extinct. 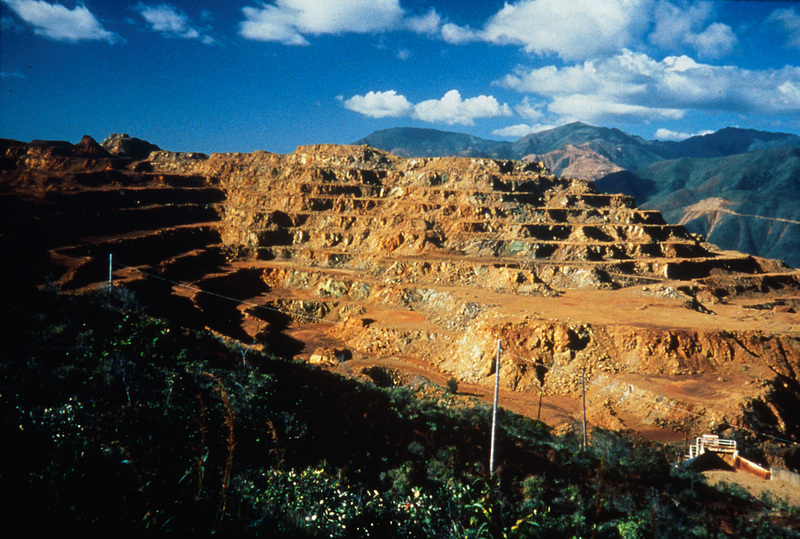 Open cast mining is one threat facing New Caledonia’s unique flora. The islands of New Caledonia were settled by Melanesians around 3000 BC. Until September 4, 1774, when Captain James Cook landed on the main island, no European had visited or even known of the archipelago’s existence. 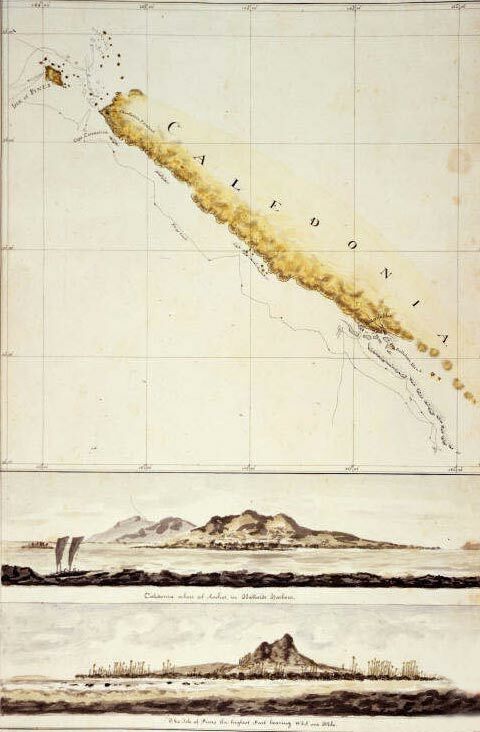 While Cook claimed the islands for England, the nineteenth-century scuffle for colonial control left New Caledonia in the hands of the French, where it remains today as an overseas territory. The Kanak, as the island’s indigenous peoples are known collectively, make up more than two-fifths of the population, while Europeans (referred to as “caldoche”) constitute about one-third. The rest of the people of the islands are Polynesians, Tahitians, and the descendants of Indonesian and Vietnamese migrant workers. New Caledonians converse in French, and the Kanak also speak one or more of the 28 Melanesian languages used on the archipelago. 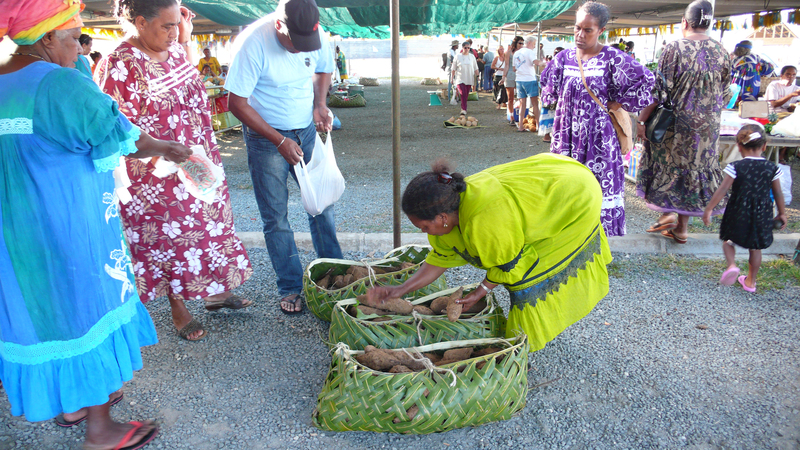 The Kanak have experienced relocation, enslavement and the exploitation of their lands. They have fought for independence and for the survival of their cultures and traditions. For the Kanak, plants, animals, and other natural elements figure prominently in their cultural practices, histories, and self-understanding as individuals, clans, and families. Wherever possible the plants profiles include Kanak plant knowledge and lore. “New Caledonia”. Encyclopædia Britannica. Encyclopædia Britannica Online. Encyclopædia Britannica Inc., 2012. Web. 27 Sep. 2012.